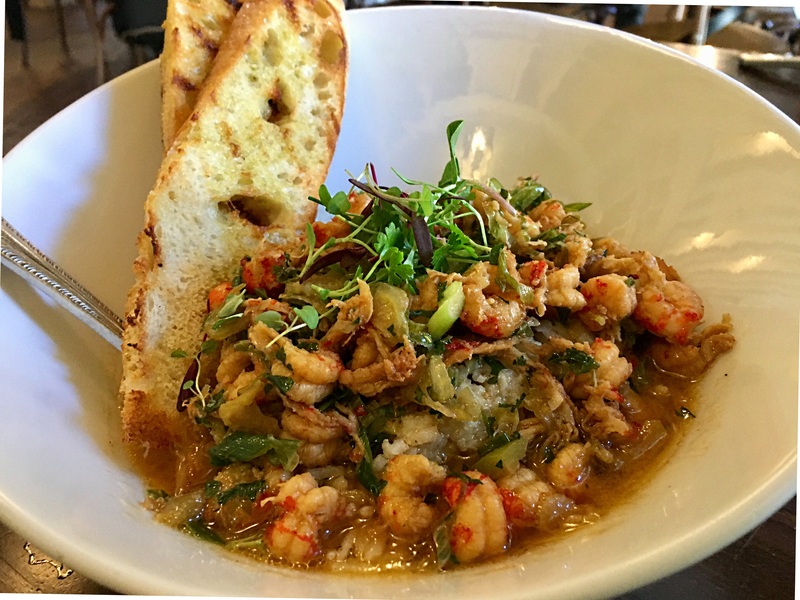 Preux & Proper serves Creole and Cajun cuisine in Downtown Los Angeles. Parking was challenging. Service was friendly and as we were leaving we were presented with two small glasses so we could sample their frozen daiquiris, as it is a New Orleans tradition. I had my heart set on this dish the minute I saw it on their online menu. Even though I avoid white rice, their rice was so buttery and delicious, I could not help myself from eating a few spoonfuls. The crawfish was on a small side but the whole dish was very flavorful. 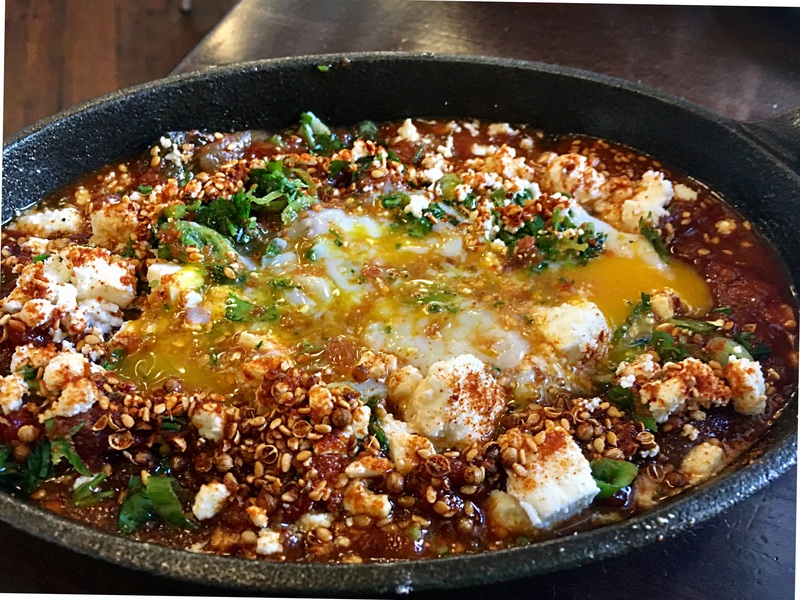 My husband, the Shakshuka lover, picked this dish. It was spicy but a very delicious dish. 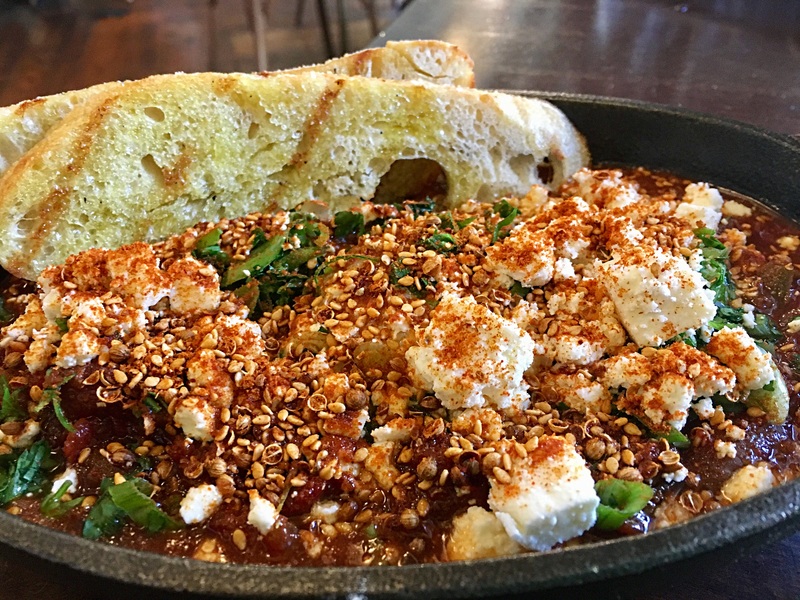 The feta and eggplant tamed the spicy creole sauce a bit. 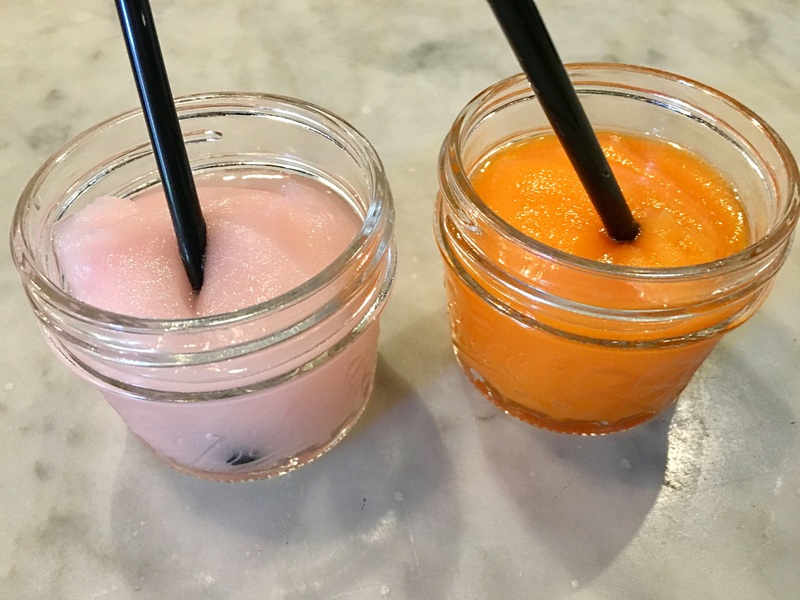 We tried the lavender raspberry and the pineapple mango. They were both pretty good and a very nice send off. A little things like this leaves a lasting impression. Let’s hope they stick with this tradition.